Here are some frequently asked questions that I tend to get about riding motorcycles. Do I really have to shift gears manually on a motorcycle? Yes. Motorcycles have sequential manual transmissions so you’ll have to learn how to use a clutch and shift gears if you’re going to ride one. If you know how to drive a car with a stick shift, you already understand the concepts necessary to shift gears on a motorcycle; the difference will be the location of the controls. In addition, a motorcycle transmission is sequential, meaning you cannot jump directly from 1st to 5th gear – you must shift through 2nd, 3rd and 4th gears to get to 5th. The same applies for downshifting, in reverse order of course. Is there such a thing as an automatic transmission motorcycle? Yes, but they are rare. Ridley Motorcycle Company, started in 1995, makes a full line of automatic transmission motorcycles. Aprilia’s Mana 850 has an automatic transmission. So does Honda’s DN-01. There may be other models out there I’m forgetting, but the next closest things are the large displacement scooters such as Suzuki’s Burgman and Honda’s Silver Wing. Where and what are the typical controls on a motorcycle? Do motorcycles have a reverse gear? Only the heaviest of touring bikes have a reverse gear, such as the Honda Gold Wing. This is one of the reasons why it’s important to be able to put your feet flat on the ground when sitting on a motorcycle; you will need to back it up using your feet if you want to avoid getting off and pushing it backward. How do you keep a motorcycle from falling over all the time, especially in a turn? Due to the nature of physics and gyroscopic forces, a motorcycle will want to stay upright and steady once it’s in motion. The faster you go the more it will resist turning and leaning. 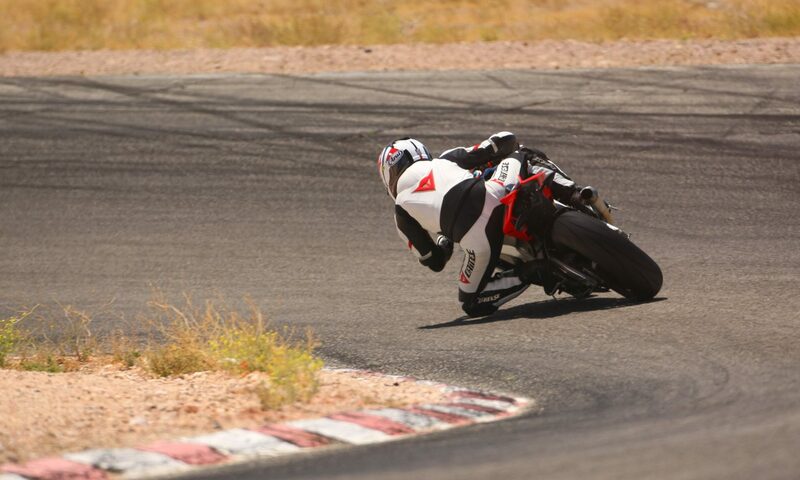 Even when leaned over in a turn, centripetal forces want to keep the bike upright. Slow speed maneuvers (we’re talking parking lot speed or slower) present the greatest potential for tipping over, since there are little or no gyroscopic forces holding the motorcycle upright. Slow speed maneuvering is a critical skill that you will need to learn and practice. Why are there separate controls for the front and rear brake? This is a holdover from earlier days when it was simpler to make bikes with separate controls for the front and rear brakes. But being able to control the front and back separately can be advantageous, especially since motorcycles have such a short wheelbase and weight shifts are very pronounced. There are some bikes (mostly touring models) that have linked braking systems but it’s not the norm. Why are motorcycle headlights always on? Daytime use of headlights is required by many U.S. states for safety reasons. Having the headlights on at all times increases a motorcycle’s visibility. Do I need a separate drivers license to operate a motorcycle? Yes. You can check the Getting Your Motorcycle License page to see if we’ve got your state’s specific licensing requirements; otherwise consult your state’s motor vehicle authority for details. Will a dealership let me test ride a motorcycle? Usually not, although some may do occasional demos of particular models (and of course they always require a valid motorcycle license and insurance). Sometimes at large events such as motorcycle shows there will be manufacturers sponsoring test rides, but otherwise there’s just too much risk involved for most dealerships to let people test ride bikes. What is this counter-steering stuff?